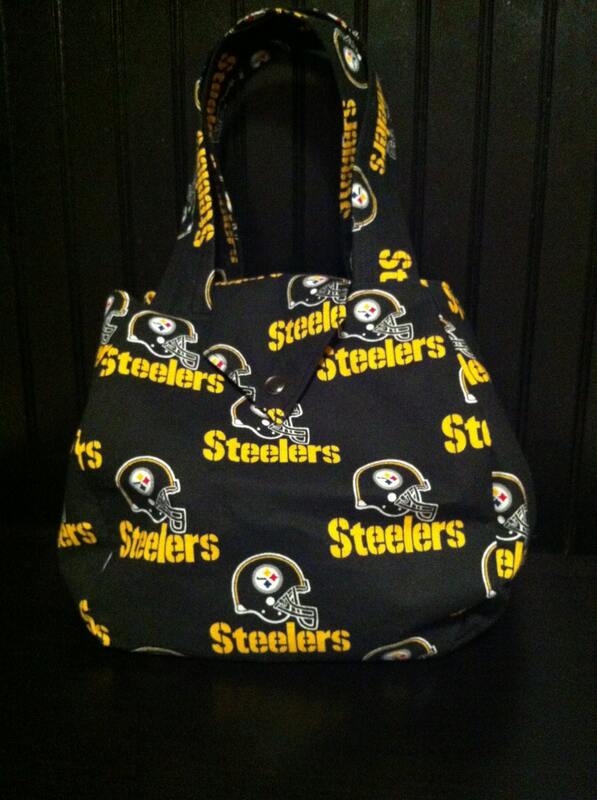 100% cotton Steelers Purse with contrasting sides. Handles are 17" in length and purse is approx. 8X8X8. Flap has a snap closer. Inside is sewn a patch pocket for your cell phone or Chapstick. Machine wash one cold, hang to dry.